The windows of your home or office might need to be cleaned in areas you can’t reach or see. Having clean windows can be an easy way to make your home or commercial building shine. 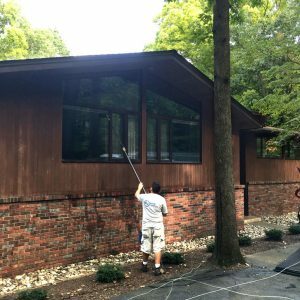 So if you’re in need of affordable window washing services in Lehigh Valley PA and Berks County area, the best choice is Grime Fighters Window Cleaning & Pressure Washing Services to get the job done right. 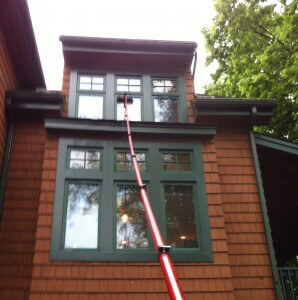 Cleaning windows can be difficult and unsafe. Window cleaning not only saps your time, it can be dangerous too. It typically involves climbing ladders and hanging out of windows. Accidents happen, and there’s no need to risk your health and safety when you can call upon grime fighting professionals to take care of this potentially dangerous chore. Leave it to the professionals. Call Grime Fighters today, and then get about enjoying your weekend safely and the way you enjoy it the most. Getting your windows thoroughly cleaned takes time, patience, and effort. And in some cases, you may not have the tools or equipment to access hard-to-reach windows in your business or home. You can count on our professionals to get your windows looking their best. At Grime Fighters, we pride ourselves on taking extra care of valued clients like you. We’ll make sure your windows are sparkling clean so you can enjoy your morning coffee, looking out your windows. You’ll say… Oh wow, look at the gorgeous sky. Not… Oh my, those windows need to be cleaned. Call today for additional information or to get an estimate. We carry $4 million in liability insurance. Protect your home and family. Only work with fully insured window cleaning professionals. Hassle free money back guarantee. We offer a 100% Total Satisfaction Guarantee to all of Lehigh Valley. Why call Grime Fighters for window cleaning? Windows connect your comfortable living space to the beauty of the outside world. Nothing is sweeter than watching the birds sing and play while you enjoy your morning coffee. And nothing is more comfortable than curling up on your favorite chair to enjoy a good book as the sunshine warms your afternoon and brightens your day. You’re busy and have more important things to do. If you are like most homeowners, it can be hard finding time to keep your windows clean. Especially when the weekend rolls around and you feel like savoring your morning coffee just a little while longer. You have plenty of recreation planned later in the day and the last thing you want to do next is climb up on a ladder and clean all the grime that has accumulated on your windows over the past couple months. That’s where we come in. We’ll make sure your windows are sparkling clean before the weekend even rolls around. When it does, you’ll enjoy your morning coffee, looking out your windows thinking… Oh wow, look at those gorgeous birds. Not… Oh my, those windows need to be cleaned. Grime Fighters does it ALL! What is the Grime Fighters Window Cleaning Difference? When you call Grime Fighters, a friendly, knowledgeable staff member will answer the phone, introduce themselves by name, and listen to what you need before suggesting the right service package to best suit your home and budget. When the friendly crew of fully-trained and authorized cleaning technicians arrive, theyll again introduce themselves in person, by name, and walk you through the service plan for your unique house, so that you know what to expect (where they will start, where they will end, which windows should be done first and last). Once you have a good idea of whats about to happen, theyll remove the ladders and equipment from the clean and well-maintained Grime Fighters vehicle, and individually suit up with excellent condition, professional-grade window cleaning tools. Careful to respect your plantings and garden, and with the steady hand of experienced technicians, they will restore not only your glass, but also your window frames and window sills, at no extra charge. Once your homes windows look and feel amazing again, the friendly and responsible crew leader will inform you that the work was completed as agreed upon, and invite you to inspect it, to make sure you are completely satisfied. In the event that you aren’t home, you’ll receive a text notification to let you know that the crew has finished, and inviting you to take a close look when you arrive home. At the end of the day, unless you are absolutely, completely, 100% satisfied with not only the window cleaning workmanship youve received, but your entire service experience with Grime Fighters, you wont pay a dime. Sound fair? 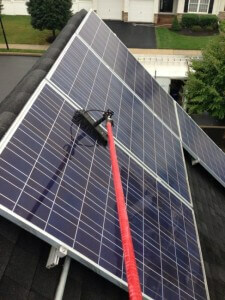 The Lehigh Valley’s HIGHEST RATED Exterior Cleaning Service! 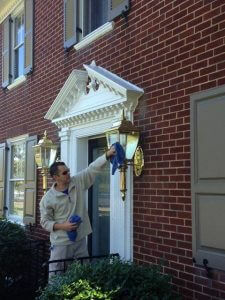 Great review from Allyson Trumbore..."Grime Fighters did a terrific job power washing my house. I would highly recommend them. They were very easy to work with!" 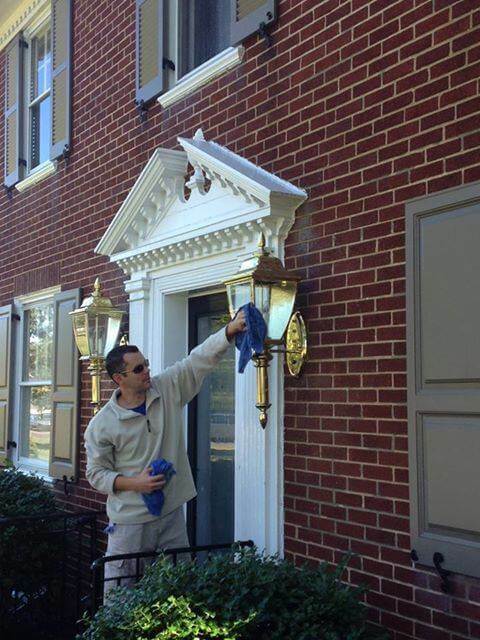 "Grime Fighters did a terrific job power washing my house. I would highly recommend them. They were very easy to work with!" Great review from Karen Struwe..."Prompt, fast, efficient, effective and courteous. Thanks to Jake and his crew! Highly recommended." "Prompt, fast, efficient, effective and courteous. Thanks to Jake and his crew! Highly recommended." Great review from Linda Oppe..."Wonderful! Saved us days of work. Highly recommend." "Wonderful! Saved us days of work. Highly recommend." 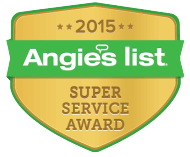 "They did a wonderful job of cleaning our house. They got rid of the green scum that was on our siding and also cleaned the brick. They're work was worth every penny. Thank you , Grime Fighters"
We are the highest rated cleaning company in Lehigh Valley! in Lehigh Valley, Pennsylvania and beyond.